Francisco’s Fight is the name commonly given to an alleged skirmish between a detachment of Tarleton’s Raiders and Peter Francisco, a Continental Army soldier with a long service record, during the American Revolutionary War in July 1781. The skirmish, which is only known to be documented by Francisco, resulted in the death of at least one man and the wounding of several others. Later historical accounts of the skirmish embellished the story with details not present in the documentary record. 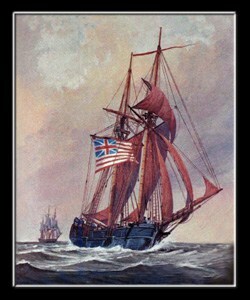 In early July 1781, General Charles Cornwallis, in command of British troops in Virginia, arrived at Portsmouth and prepared to embark some of the troops on transports. While en route to Portsmouth, he dispatched Banastre Tarleton and some of his British Legion (also known as “Tarleton’s Raiders”) on a raiding expedition into central Virginia. Moving rapidly, Tarleton and his men left Suffolk on July 9, and rode deep into the foothills of the Blue Ridge Mountains. The complete expedition ended up being a 400 miles (640 km) trek that succeeded in raiding some military stores, although most of the targeted supplies had already been sent off to Nathanael Greene’s Continental Army in South Carolina; Tarleton returned to Portsmouth on July 24. Peter Francisco was a private who served in several units during the war. He was a striking figure, reported to be about six feet six inches (about 198 cm) and over 260 pounds (120 kg), and was known for his strength. In the northern campaigns, he was in the battles at Brandywine and Monmouth Court House, and supposedly was the second man in the fortifications during the Battle of Stony Point. 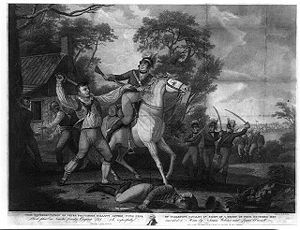 He then served in the southern army under General Greene, where was reported to have killed 11 men during the May 1781 Battle of Guilford Courthouse. He was also injured in that battle, and had returned to his home in Buckingham, Virginia to recuperate. The only documented primary sources for this action originate with Peter Francisco himself. One source is Francisco’s 1829 application to the United States Congress for financial support. His request was rejected on the grounds that he was already receiving a military pension. The other is a similar letter addressed to the Virginia State Assembly in 1820. The two accounts differ in some details, but much of the narrative is essentially the same. No other sources are known to corroborate the events he describes; Tarleton, in his memoir, only generally mentions casualties that occurred during the expedition. One of the most widely published accounts of Francisco’s fight was that of Virginia historian Henry Howe, first published by him in 1845, and also appearing in an 1844 compendium of Revolutionary War anecdotes by John Lauris Blake. The version reprinted below (from Howe’s 1852 edition) contains details not present in Francisco’s own written accounts, including the presence nearby of Tarleton’s main body, and an allegation of the tavernkeeper’s assistance to the raiders. There is a state historical marker commemorating the event; according to Mark Boatner’s Landmarks of the American Revolution (1992 ed. 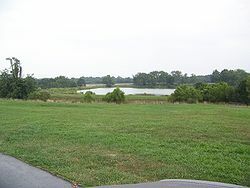 ), it is located on U.S. Route 360, six miles south of Burkeville and about five miles due west of the site formerly occupied by Ward’s tavern.